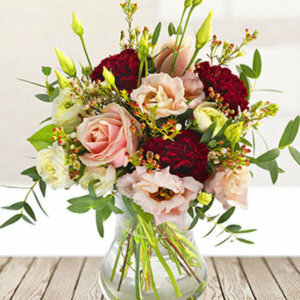 Burgundy and soft pink combine to create this fabulous flat-packed bouquet. 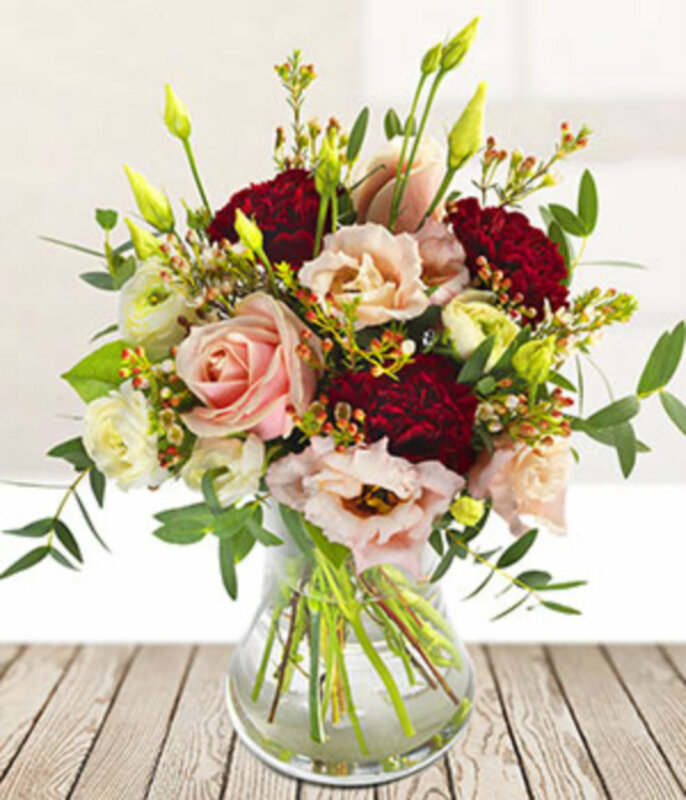 Roses, carnations, and lisianthus are perfectly accented by white seasonal flowers and green seasonal foliage. Lovingly created by a local florist and delivered by hand, this bouquet is sure to make them smile.